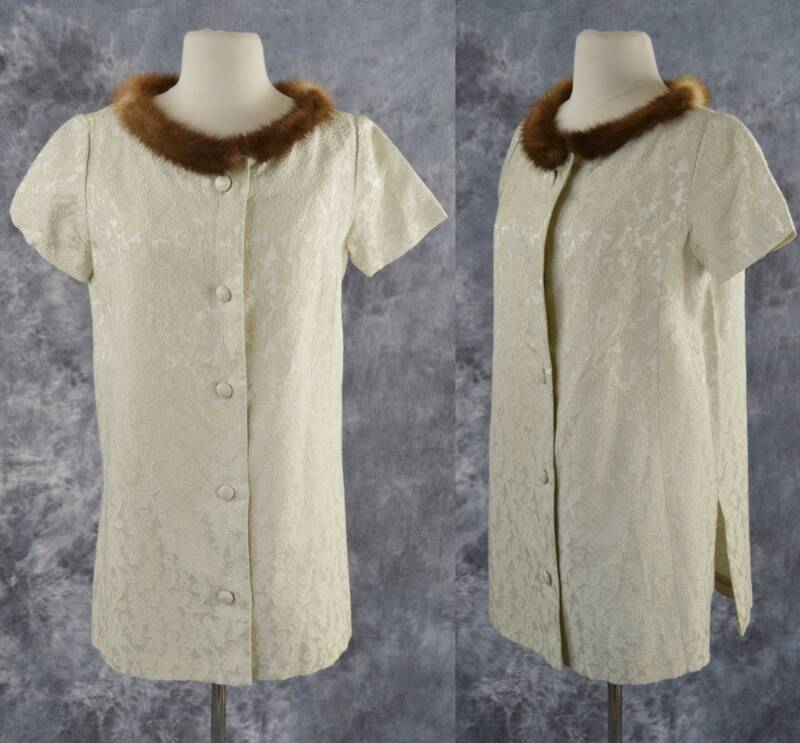 Pale creamy yellow maternity blouse in a damask fabric with a mink fur lined collar. 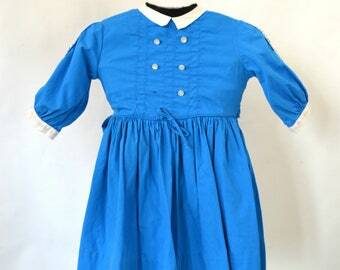 Fabric covered buttons and a split on each side to accommodate the growing baby. Staining on the right armpit and by the 2nd from the top button as seen in the last 2 photographs.